Our singular goal is to see each RCS student aspire to embody the characteristics of a Biblical leader. 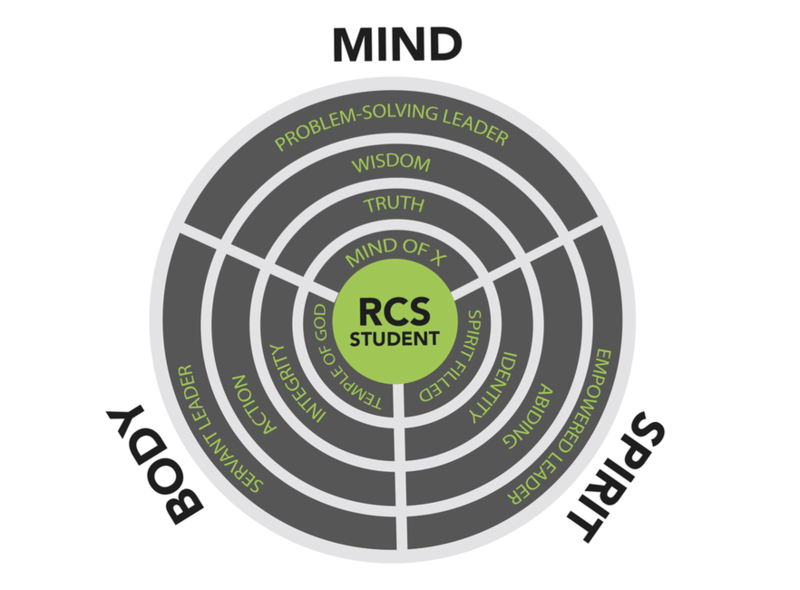 Our Vision, Commitment, and Paradigm combine to produce one person: "THE RCS LEADER." TEMPLE OF GOD. mind of christ. spirit-filled. "'Love the Lord your God with all your heart and with all your soul and with all your strength and with all your mind'; and love your neighbor as yourself.'"